An electrocardiograph (ECG) reads electrical signals produced by the heart via electrodes attached to the patient's chest. The readings are treated and transcribed for analysis. Today, most models are digital, facilitating data management and analysis. In addition, the results are easily transmitted by telemetry to other support systems. These devices constitute the basic tool for diagnosing problems in cardiac activity. They are used in electrophysiology as well as cardiology, and are increasingly employed during routine medical visits. Resting ECG is distinguished from a stress, or exercise test. Each is capable of revealing a different range of cardiac conditions. There are also ECG units designed for veterinary use. The trend is for such devices, now mostly digital, to become increasingly portable, often in the form of tablets or smartphones. 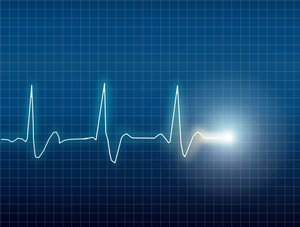 Computerization (PC-ECG) and wireless network connectivity (telemetry) are also more and more common. In healthcare facilities, these machines are often integrated into the main data system and configured for patient data management. However, there still are analog units which deliver only a paper printout of test results. Choice will depend on the technology of the ECG. Digital signal treatment facilitates analysis and improves the signal-to-noise ratio. Mobility is another advantage. For example, battery-powered portable systems are better adapted to emergency use. Another factor is the type of exam to be administered, whether resting or exercise.